I used to play a lot of Pandemic with KrazyTaco and his wife, but they got sick of ridding the world of infectious disease (ironic considering she works at NIH). We got really good at it. Between the three of us, I think we might have lost twice out of two dozen times we've played. I'm jonesing for some Dominion Prosperity though. Check this out. It's an article/chart thing about Board Game Geek and how scores are calculated and stuff. I keep hearing about this thread on the podcast, I believe this is the thread. Anyway I've never played a board game other than the Xbox Live version of Ticket to Ride. Unless you wish to count Monopoly and some other family centered games. The more I hear about Gencon and Rabbitcon the more I want to finally play these games. Sad fact is, I have nobody to play them with. Even Ticket to Ride I only play with my mother. So how does one go about playing games like these be it in person or over the internet? I've been chipping away at friends, one game at a time, trying to get some groups going. Unbearably slow, but getting there. Do you have a gamestore nearby? Many of them have bulletin boards you can post a sort of "looking for group" classified ad on if you're comfortable with making the geekiest sort of new friends. Ours here also provides space to play games (either that you bring yourself or you borrow from their lending library). Or, you can talk to the shop owner. Tell them that you're a newb trying to get into the hobby they might be very helpful in introducing you to some people they know. And if your mom can rock Ticket to Ride, bring her in, too. There's a bunch of other good stuff out there. TOPIC: Which is the better game? The television-based game or the comic-based game? While listening to Idle Thumbs.... er wait. That was just wishful thinking. 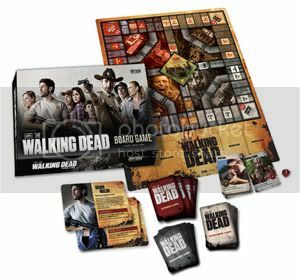 While listening to GWJ podcast Gen Con-cast about The Walking Dead beta-board game. Sounds awesome. Hmmm. ON second thought this game I have posted here looks different than the one discussed and the one found on Board Game Geek. What gives? Hey I remember this thread! So I was checking out GeekChic today, and I think this is the first time in my life that I've lusted after furniture. I just finished socking away the funds for my master table! But I can't order until we move into a bigger place... Never been so motivated to move! Finally got to see these in person at GenCon this year. The Sultan is an impressive piece of furniture but honestly I think it's a bit impractical. I wouldn't mind getting an Emissary someday; it has a nice traditional dining room table look to it. The coffee tables like the Hoplite really impressed me. They are more financially practical and looked gorgeous. Not sure I'd really want to sit at a coffee table for the majority of my gaming but they were really cool. Had one set up as LEGO storage which I thought was pretty clever. I knew we had a thread like this somewhere. So, if you haven't been paying attention this past week, friend of the Conference Call, Rob Daviau aka NotThatRob created a page on BGG for Risk Legacy. It's a RISK variant he made and it's due out later this year. 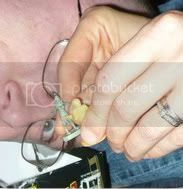 He brought an early version of it to a couple RabbitCons a couple years ago. And it's amazing. Absolutely amazing. 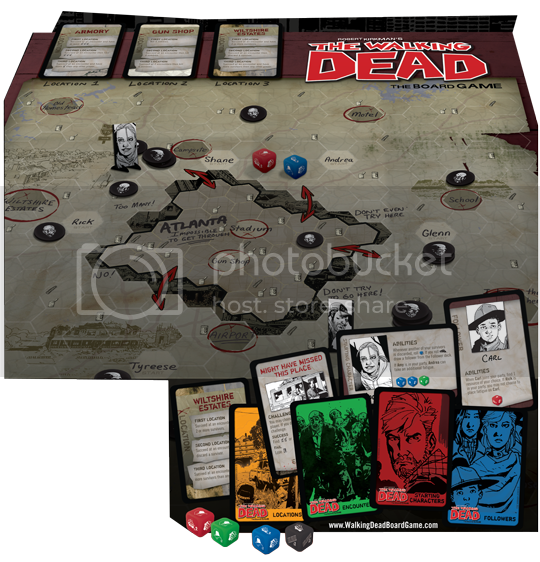 Check out that BGG page and the designer notes a littler farther down the page. Risk, with stickers, and permanent black marker, and cards you remove from the game by ripping them up? I think part of my brain just revolted. I'm seriously tempted by the Hoplite. I was too, until I saw the price. I paid about that for my couch. Be prepared for a long wait. The site cites 3 to 5 months to build a piece, and there's apparently a waiting list even before they can start construction. Ha! There's one guy in the Designer Notes comments who thinks it's the worst idea ever. The game is sacred and must remain pristine. Which I get, but it's just one game. It'd be a shame to miss out on this unique experience because of what I would personally consider a minor hang up. I keep my games in good shape. Some dings from travel and use, but still good. However, I've been playing the same copy of Family Business for almost two decades. It's tore up, taped up, bent and bruise. And I love it. Lots of memories. Like how I know that the main reason the board is warped and faded is from an entire pitcher of pink lemonade spilling on it due to a shaky card table the summer before starting high school. Which makes Rob's comparison to a leather jacket very appropriate. When you're done with this game, it will have a history. Playing it at RabbitCon, I was in the 5th game on this board, I believe. And even though I wasn't part of those first 4 games, hearing the stories of how the board was altered to its current state was fantastic. And adding to that story was even better. Granted, my contribution was memorializing in ink the country my last army died in as a consolation prize for not winning one single dice roll and exiting the game quickly. No one had ever seen someone roll so bad in a game of RISK in their lives. Ah ... memories. The Sultan is an impressive piece of furniture but honestly I think it's a bit impractical. I wouldn't mind getting an Emissary someday; it has a nice traditional dining room table look to it. I agree. I'm ordering the emissary at counter top height (36"), with four of their amazing stools which they finally are selling, plus trays, dice towers, cup holders, the works! The nice thing about many of their coffee tables is you can swap out the legs to convert them to traditional table height, counter top height, or even bar height. Quick, instant extra dining table when hosting events. Do any of you live in the Seattle area and go to Card Kingdom/Cafe Mox? I just moved here and am in heaven there. So I picked up a copy of Lancaster last Thursday, and I've managed to play it with two different groups since then. You can read Chumpy's impressions of our first game over here. The second group I played was at my usual board-gaming meetup, so we played with the max players, 5, with only myself having played before (once), but all were pretty experienced players. Impressions were generally positive, except for our last place player who took a bit longer to grasp how to score well, and then lost interest when it became apparent she wasn't going to win. But even then, she said she'd like to try it again sometime "Now that I know how to play". There a couple of gameplay videos on BGG, so I won't get into that, but in short the game is a mix of several euro-game mechanics, like worker placement (or in this game, knights) and auctioning/voting. Interaction is limited to the usual "You took the thing I wanted before I could" variety, but the nice twist is you can oust another player from a good spot by using a stronger unit. This changes the dynamics of the game a lot with different numbers of players. In my 3 player game, it was often wiser to move to easier pickings instead of fighting over the best locations, but in the 5 player game, frequently there was no other available spots, so fighting over locations broke out often. In the first game, gold became the go-to resource so as to make each move as efficient as possible, since you can pay to get more done. In the second game, squires became super important, as they bolster your forces in a squabble and without enough of them you'll be ousted at every turn and won't be able to do much of anything. I found this shifting of strategies to be very interesting. In general, there are a lot of paths to gain points, and a good player will shift his focus many times as things develop. And it really does play in an hour if you don't have to explain the rules first. More players does make the game longer, what with more moves per round, plus the additional conflicts means many moves need to be repeated (You get your knight back to use again if he's kicked out of a location), but I never felt like the game bogged down because of that. In fact it added an interesting layer where I would think twice about bumping a player's knight if he'd already played all of them, since he could use that piece to break the balance elsewhere, throwing all my plans out of whack. One conflict leading to a chain of conflicts all over the place. Oh, and one nice touch I noticed is that since the stronger knights are also larger, you can tell the relative value of two stacks of knights just by the height, like poker chips. So Lancaster's a winner for me. Fast playing yet strategically satisfying, more player interaction than your average Euro-bear and completely top-notch components. If it seems interesting at all, definitely give it a try if you get a chance. If I haven't already done so, I'm going to pimp Runewars some more; it's probably my favorite board game right now. It runs a little long (3 to 5 hours based on the number of players and if you are teaching rules), has lots of plastic pieces and tons of cards, isn't strictly balanced due to the sheer number of factors that go into the setup and randomness over the course of play... but good lord if I don't have more fun when playing this than most anything else I own. The goal is to either be the first to control six dragon runes or control the most after six years. We played this weekend and I ended the game with zero dragon runes, a first for me. But you know what? I had a blast the entire time. Few games with combat keep me engaged from start to finish like Runewars does. There's not much downtime and tons to be thinking about every turn. Also, while it is a game with combat I wouldn't call it a war game. The four factions play differently and you may very well win the game with having only fought a handful of battles and possibly defensive ones at that. Combat is as much cold war as it is real engagements, but I still find that incredibly engaging and fun to boot. I also picked up Conquest of Nerath, the new D&D-themed world conquest game. It's very old-school in its design; think the old Gamemaster series (Axis and Allies, Conquest of the Empire, old-school Shogun, Fortress America). Be ready for lots of downtime as any single player's turn takes quite awhile to resolve since they do everything before the next player goes: move, attack, move again, buy units, move again. If you like that style of game, though, it seems really solid. The four sides are slightly asymmetrical with their event decks, just enough to give them slightly different feels. All the unit types are interesting and useful in different situations and the VP system forces you to keep advancing forward through enemy territory which is pretty cool. Plus you have heroes ransacking dungeons to try and get sweet loot and more VPs. I also love the simplicity of the combat system: every unit hits on 6+ but stronger units roll dice with more sides. Pretty clever and works nicely with the D&D theme. I've only played twice - once with four and again with two - but it is fun. Like most conquest style games, though, one someone starts falling behind it can be very difficult for them to catch up. If you like conquest games and a fantasy theme you'll probably find a lot to like. Edwin & clover brought me there while I was in Seattle post-PAX. So awesome. We were in the Green Room, playing Talisman and getting tipsy. A shame their RPG section is kinda lean. Mostly only the big names in RPGs. The way the handle keeping your cards secret is pretty neat. If Quarriors works out ok, I'll pick up some other similarly themed games, though not necessarily dice games, for us to play together. I have my eye on a couple of co-op games ( Forbidden Island and Castle Panic ), as well as Small World ( though that will be once she has gotten a bit better at strategy games ). Got to try out Gears of War last night and was quite impressed. I've never really played any of the games as they've held no appeal for me, but I love dungeon crawl board games. At first I thought the theme might turn me off of the game but while playing it really feels pretty irrelevant. I suppose if you are a fan of the video games you'll find some nice correlations but it didn't feel like a shoddy board game designed around a popular IP. Mechanically it's very similar to the recent D&D dungeon crawlers (Castle Ravenloft and Wrath of Ashardalon), especially with the pre-programmed AI on the monsters. I really liked the map tiles, though. Instead of a square grid like most games use, each tile is broken up into a set of geometric areas. If you've played or seen Mansions of Madness, it's basically the same idea. The great thing is that both you and the monsters move by areas, so there's at least a limited amount of fun had with tactical positioning. Something I think other crawlers (Warhammer quest, the D&D games) are missing. There's also a cool hand management aspect as your hand represents both actions you can take and your health. You must play one card each turn and when you take damage you discard cards. If you can't discard you are "bleeding out" but can be revived by a teammate. If everyone is bleeding out the game is over. I was really impressed at how much fun I had. Granted we only played the intro scenario but the system shows a lot of promise. I'd like to play it a few more times, and with a second edition of Descent landing next spring I don't know if I need both... we'll see. I'm sorely tempted after playing it last night though. Where has Claustrophobia been all my life? Anyone got experience with this? Is it co-op or adversarial? Wow. A 7.9 rating determined from 1,835 ratings at BGG. Lasherthecat makes her move in a game of Zombies!!! But who is that sneaking onto the helicopter for the win? Aerial combat between hunter and zombie still mystifies residents of Crazy Zombie Town to this day. Claustrophobia is a versus games. It's meant to be 1v1, very much a la Space Hulk, although I think you can technically play with multiple people per team. I've played a handful of times and overall it's a pretty cool game, not to mention a fantastic value for the price. One person plays the humans while the other is the demons trying to stop them. It's a fairly standard dungeon-crawl style game, although movement is simplified down to tiles (think monster movement in Castle Ravelloft if you are familiar with it). The action system is pretty clever on both sides. For the humans you roll one die per character and assign those dice to your party members. The face value determines that person's stats for the round, so you have some interesting choices to make. As they take wounds you "block" off a value for them, which is also pretty cool. The demon player rolls dice and allocates them to different pools of actions and abilities. I like how different the two sides play and gives a real nice mix of luck and strategy. I really only have two complains from the few plays I had. First, a few of the human character models are way too similar looking but it's crucial to know which is which. Second, the stat system for the human characters is pretty cool but also means you have to constantly reference each character's stats since they change from round to roun. Still, these are pretty minor complaints. It makes a fantastic "poor man's" Space Hulk, and I think I've actually enjoyed my plays of Claustrophobia more than my plays of Space Hulk. So I come here before you as a board/card game novice with a somewhat peculiar request. In a mission to rid my family of the traditional Christmas rummy games enforced by my mother, I've been getting a new game for the last two Christmas'. Last year I got Dominion, the year before it was Bang. This year, I would like to go a little further and get a board game. It needs to support 4 to 6 players (teams of 2 could also work). Ideally something we can play cooperatively. It should be either easy to pick up with 1-3h rounds or the rounds need to be shorter (less than an hour) while having a medium complexity rule set. In general, it should be playable while tipsy. Open for all suggestions, guidance or links. I don't know the audience, but they may like Cutthroat Caverns. It's pseudo cooperative. You each play as standard fantasy characters who have retrieved the MacGuffin from the dungeon and you're on your way out. The aim is to be the last standing hero, but you have to work together to defeat monsters on the way out. Backstab too early, and the party will wipe. It's a pretty simple card driven game, with a lot of variability in the encounters. Elder Sign is a new co-op dice game with a rich Cthulu/Arkham Horror theme. The players are investigators trying to seal away a randomly select great old one before it sunders the world. You roll dice and use smart card play to pass encounters. It's pretty easy to teach and plays within 90-120 minutes (depending on players).